My mom had a procedure yesterday to remove a small, but suspicious looking spot on her foot. I knew what she was asking. She meant, What should I do to prepare? 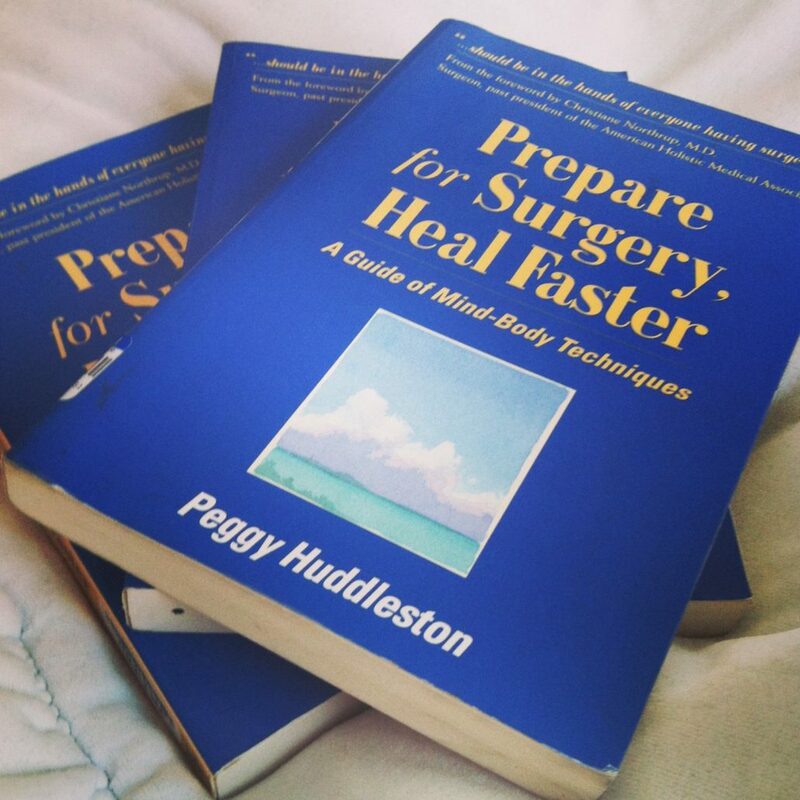 She knew that before anyone had any kind of “procedure” be it minor, major or somewhere in between, if it involved asking the body to heal, she knew there was work that could be done beforehand to expedite healing and mitigate fear. Her timing could not have been more perfect. I was writing a blog post on that very subject for Hand to Hold’s blog, PreemieBabies101. Click on over to their site and register to win the free copy of the book I’m giving away. “Before my daughter’s final surgery, the surgery where the doctors would reconnect the piece of intestine they had originally looped through the outside of her abdomen, I was hanging on by a thread. A very thin thread that snapped long before that surgery date even came close to arriving. I always keep multiple copies on my bookshelf, ready to give a copy away to anyone I think might benefit from it. Want one on your shelf? Click on over to read the rest and log in to register to win! By the way, my mom got the all clear!